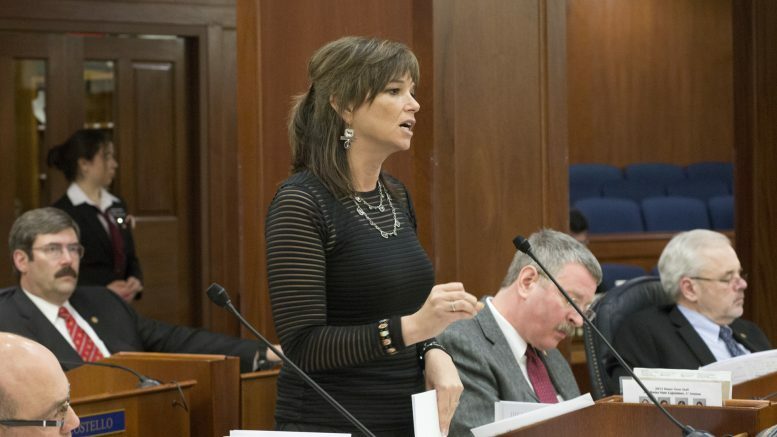 A little more than an hour before the second presidential debate this afternoon, House Majority Leader Charisse Millett (R-Anchorage) became the latest Alaska republican to drop her support for Donald Trump. I will not be supporting Donald Trump this November. While there have been points where someone with business acumen and a career outside of the Washington beltway has seemed like a possible solution to some of our country’s obstacles, Donald Trump’s character has been proven beyond question to be that of a bully, misogynist, and a sexual aggressor. His comments released recently are simply further proof that he is no leader — he is part of the problem. Alaska has some of the most staggering rates of domestic violence and sexual assault in the United States. Our state has battled for years to combat this epidemic, and unfortunately will have to continue this battle for years to come. Alaska is home to women and men who have experienced some of the most debilitating violence and oppression imaginable. We have an immeasurably hard-working team of service providers and community leaders who have devoted their lives to helping victims become survivors and finding prevention that works. Are we to honestly tell those who get up every day to fight for the voiceless and turn our state’s pain into a passion for change that Donald Trump is the person who should be leading our nation? Can we look survivors of abuse and violence in the eyes and say that Trump is the absolute best we can do? As a survivor of domestic violence myself, can I vote for this man who talks about women like they are objects, ready to be violated? I can’t, I won’t, and Alaska shouldn’t. Alaska has a long, proud history of standing for freedom and personal liberties. Let’s continue that legacy and make sure that everyone has the freedom to live their lives without the fear of predation, intimidation, and harassment. Let’s stand against Donald Trump. 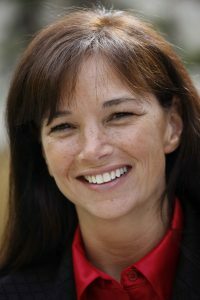 Last August, Millett joined Sen. Lesil McGuire to pen an editorial in support of Trump’s candidacy that appeared in The Hill. 3 Comments on "Alaska House Majority Leader Latest To #DumpTrump"
“Locker Room ” talk is rightly received as a threat and intimidation once it is heard by someone who might be a victim (directly or indirectly) of such talk. Trump and many others apparently can’t understand that. I wonder what took her so long? I guess she’s ok with racist positions and statements about Mexicans, Muslims, disabled reporters, Gold Star families, federal judges, as well as many misogynist attacks made recently. But when a 10 year old tape surfaces, Charisse Millett-R (as in Rumpelstiltskin) wakes up as though she is hearing Trump’s words for the first time. More likely, once Murkowski and Sullivan unendorsed Trump, it’s a case of monkey see, monkey do. Thank you, Representative Millett. Welcome to the Never Trump club.